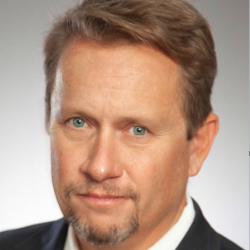 Christopher L. Patton is the lead Southern California trial attorney for McDowell Shaw & Garcia. Mr. Patton has tried 70 jury trials. After attending Pepperdine University on a full tuition speech and debate scholarship he judged and coached high school and college speech and debate. Mr. Patton went on to study International Litigation and Arbitration at Oxford University (Magdalen College) before completing his law degree at Loyola Law School. Mr. Patton won numerous moot court and trial advocacy competitions while in law school, tried four jury trials as a certified law clerk before graduation, and was the graduation speaker. Upon graduation, Mr. Patton worked on the multi-billion dollar Qui Tam case of United States of America ex rel. Boisvart v. FMC Corp. concerning the Bradley Fighting Vehicle. Mr. Patton also worked on all post-trial motions with the Washington D.C. office of Jones Day. For more than 20 years Mr. Patton has specialized in SIU litigation and has been a member of NCFIA for the last 15 years. He has tried more than 40 SIU trials. He was the prevailing party in 38 of the 40 SIU trials securing defense verdicts in a vast majority. Mr. Patton has also tried more than 30 catastrophic injury cases including claims of loss of a limb, Traumatic Brain Injuries, and more than 20 fusion cases. Mr. Patton has tried approximately 40 cases with a demand of more than $1,000,000 and 12 with demands more than $5,000,000.